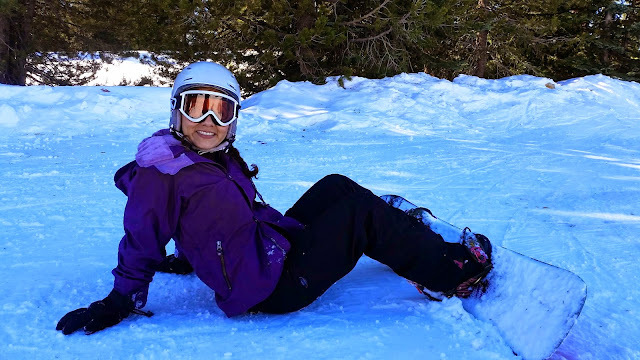 Fit Wanderlust Runner: Snowboarding After Three Years! This weekend was absolutely fun! I was able to start off my first weekend in 2015 hitting two of my goals: going to the snow and going on more dates with my husband. We arrived back from San Diego on Friday after a long drive stuck in traffic. Usually it takes about 5.5 hours but this time around it took 7 hours! I absolutely hate LA traffic. 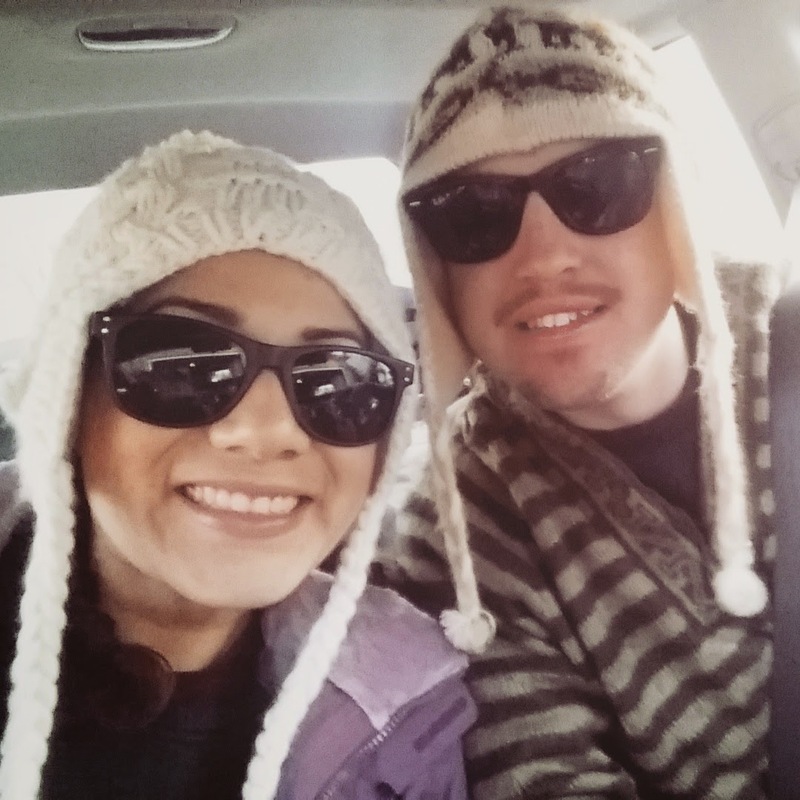 We were exhausted by the time we got back and we still had to air out our snowboarding gear and unpack from our trip. We headed out to snowboard early on Saturday. 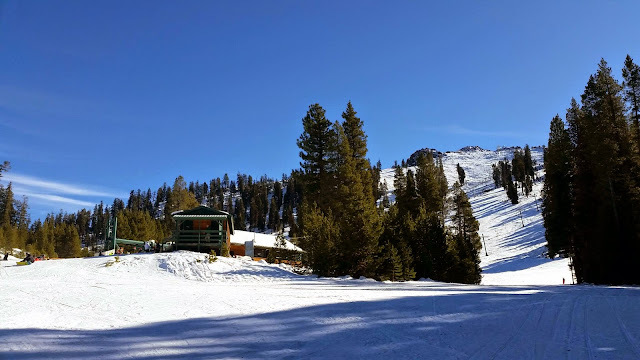 We went to one of the local summits around me, China Peak Mountain Resort. It takes about an hour and a half to get there with good weather conditions. The summit opened at 9 and we got there at the end of the hour but still managed to get in a good solid four hours. It was actually pretty hot by the time we were up there and had to actually take off some layers. We first hit up the bunny slope to get my feet wet in the snow. I'll be honest I was cranky because I just couldn't get it. My husband can definitely vouch for that. Then I had to remember this is your first date of 2015, make it a good one. So we went through the bunny slope two more times and headed up the mountain. It was absolutely gorgeous up there but there really wasn't that much snow. I had been hoping that while we were gone they would have gotten some snow, but nothing. They do make man made snow there but it just wasn't enough. We still made the most out of our time together. I was much slower than my husband so he did a few more runs than I did. We could have done more snowboarding but by 2pm there was no snow, mostly ice. It was getting a little too dangerous for a newbie like me. 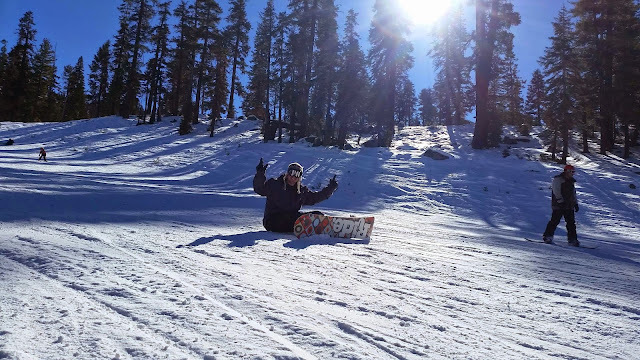 Did I eat crap while snowboarding? Of course I did...It was inevitable since I hadn't done it three years. On our way back we stopped and took a few more pictures just to finish our trip. On Sunday we both woke up super sore but the trip was so worth it. We had such a great time and wouldn't trade it for the world. 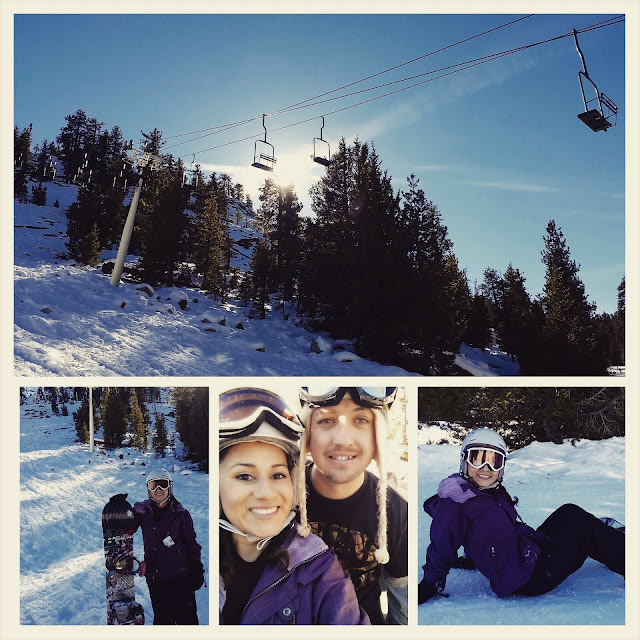 I am hoping we can get a few more snowboarding trips this year. I just need it to snow more. The rest of Sunday I lounged around and watched Friends on Netflix. It was such a great way to kick off 2015! It looks like you had a blast! Your pictures are amazing! Thank you Alaina! We really did have a great time. I've never been snowboarding, but I've always wanted to go. And I've been DYING to watch Friends on netflix. I'm on vacation right now though and the wifi can't handle the streaming :( Oh well. 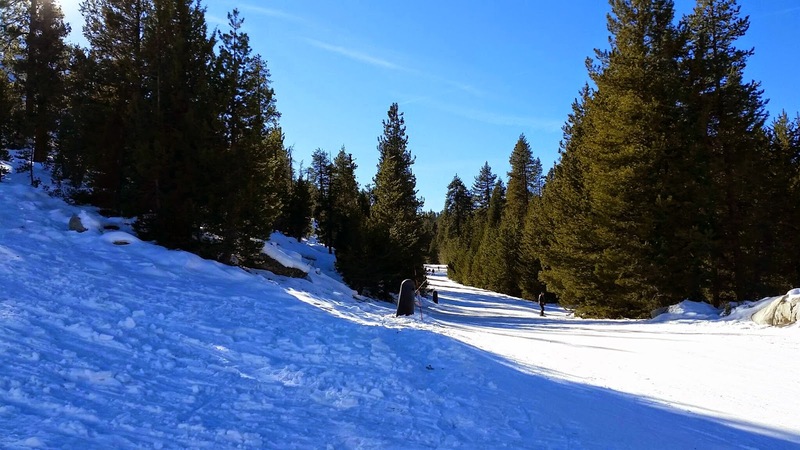 West coast skiing/boarding always looks so fun. I probably haven't been boarding in about 3-4 years - I prob will be spending a lot of time on my bottom when I return to the slopes.